Say what you will about BlackBerry's viability as a company, but the Canadian smartphone firm's messaging app is quickly shaping up into a powerful client. 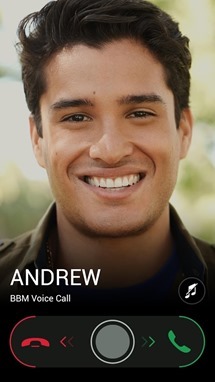 Today, BB announced that BBM 2.0 for Android is out now, and it adds a whole lotta stuff to the app's growing feature resume. Of most interest to users is probably BBM Voice, which is exactly what it sounds like - you can now call BBM contacts directly from the app (still no video chat, though). 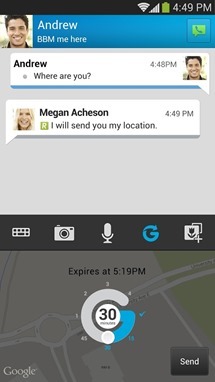 This isn't a VoIP technology, though, so you can only call other BBM users. Still, a nifty way to save minutes if you've got friends you talk to regularly on BBM, particularly those in foreign lands. BBM Channels is the other banner feature of the new update, which kind of vaguely sounds like a sort of community feature. 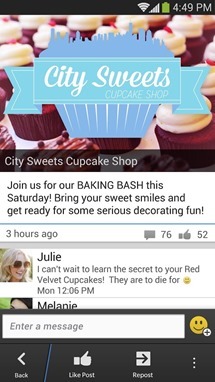 You can "join conversations happening now with BBM users, brands, businesses, communities and more." The way BlackBerry describes it in the press release, Channels are basically permanent conversations that have "owners" - the owner of the channel can choose who gets to post to the channel, what hours posting is allowed, and moderate most aspects of the conversation. There's even analytics. Subscribers to channels don't have to share any personal info with the channel, either, so everything can be anonymous. BlackBerry's use cases are for brands and businesses communicating with customers. It all kind of sounds like they're trying to turn BBM into a sort of quasi-social network, which I guess is fine. Sharing features also received a big boost, you can now add photos, voice notes, and directly attach files to BBM chats, and the app includes native Dropbox support. Neat. Location sharing been added as well, and is powered by Glympse. Finally, there are over 100 new emoticons, and BBM Groups now support up to 50 people, making it a pretty legit communication tool for small businesses or other groups. 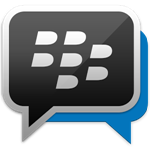 Of course, the fact that BBM is a totally closed system that doesn't integrate with SMS/MMS or VoIP functionality still makes it a less than ideal choice for many, but hey, it's an option, and it's racked up over 10,000,000 downloads on Google Play to date. It could be worth checking out if some of these new features really strike your fancy. Hit up the link to press release below, it has even more info about the new version of the app.